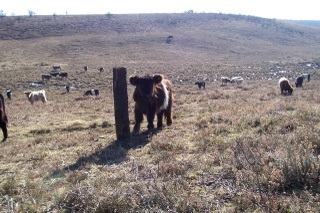 New Forest camping in oakwoods. Hollands Wood Caravan Park in the beautiful New Forest is dog friendly and offers award winning camping for all the family. They've even got a dedicated dog shower! 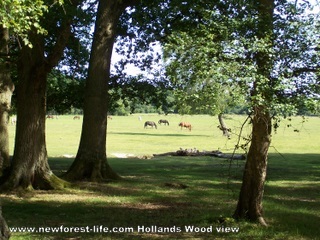 Hollands Wood Caravan Park and Campsite is set in beautiful oak woods. Whether you are in your tent or caravan, staying here on this lovely, well situated site will let you experience the New Forest at its best. It's perfect for a relaxing family holiday, and you can even shower the dog off after a day out getting mucky! A gentle ten minute walk brings you to Brockenhurst where you’ll find local pubs and shops. This caravan site and camping ground has had its commitment to preserving and enhancing the natural environment rewarded with a David Bellamy Conservation Award for the second year running. Buy all your gear at great prices before you go! You'll need OS Explorer 22 map for all those cycles and walks before you go! 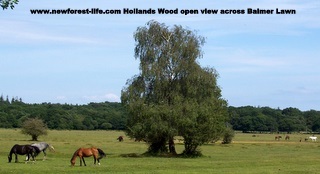 Why not read my personal Hollands Wood Review ? Are you wondering where you saw the Lyndhurst Visitor Centre details? 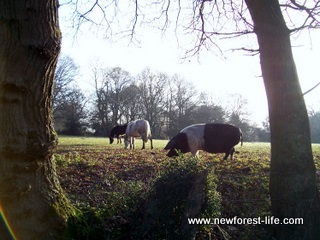 Perhaps you found some information, or a really lovely photo of a New Forest pony, and wanted to find it again? For example: put Lyndhurst if you are looking to find information on the Lyndhurst Visitor Centre and hit the Search button. I hope you enjoy your visit to the beautiful Hollands Wood campsite in the beautiful New Forest, and that the weather is kind to you too.